I must say I am quite jealous of all the projects the girls at All Tizzie Up are doing this holidays. I have been so swamped with work and other obligations I just haven’t had the time or energy to get any of the things I wanted to done. But that will change! In the meantime, I am very happy they are helping keep my blog active! 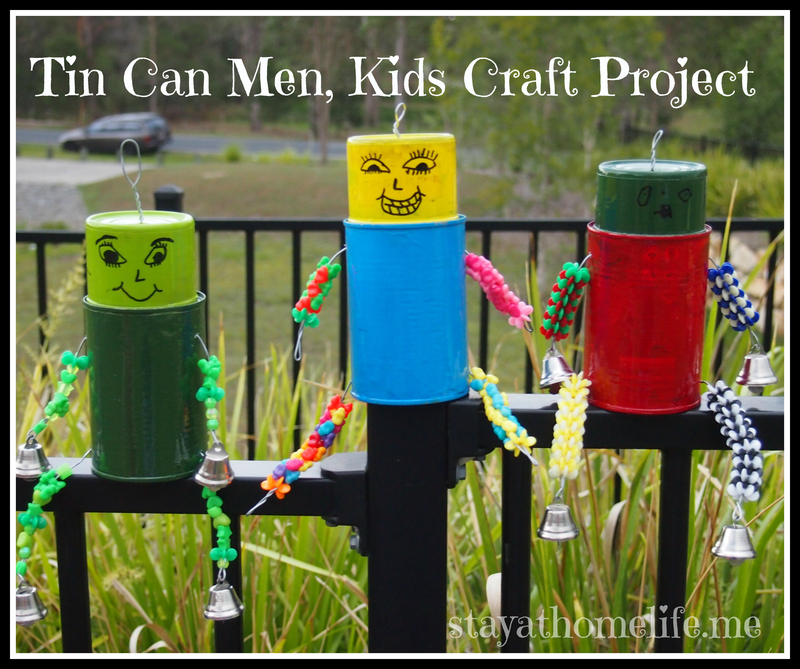 Here is some cute little tin can men they made using recycled cans, wire, paint, beads and some bells. Watch the slide show or click on the images for step by step instructions to make your own recycled can garden critters. Stay at home mother of 4. Full time mum, full time student, full time cleaner/cook etc - kids will do that to you. BUT, love every minute of it! A family that bees together, stays together. The everyday adventures of a classy lady and her curious cat.